The Stikeman Chair has participated in a number of events that were videotaped. We have created a Youtube channel to share these talks with you. Visit our youtube.com channel to view all the videos, or watch key talks given by Professor Allison Christians on taxation and rights below. Video of Allison Christians: Who Has Rights, What Rights, and Against Whom? The H. Heward Stikeman Chair in Tax Law, endowed in 2005, was created through the generous support of The Heward Stikeman Fiscal Institute and of friends of Heward Stikeman. 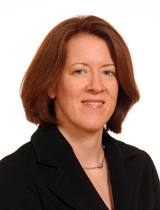 Professor Allison Christians, previously at the University of Wisconsin Law School in Madison, Wisconsin, took up the H. Heward Stikeman Chair in Tax Law in May 2012 as its second incumbent. The primary goals of the chair H. Heward Chair in Tax Law are to foster scholarship contributing to fairer and simpler tax rules locally, nationally and globally, and to attract faculty committed to developing a comparative, integrated and dynamic approach to the teaching of the law of taxation. 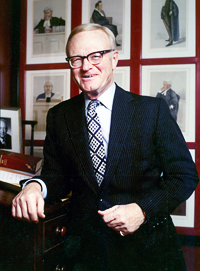 It was those aspirations that informed the career of H. Heward Stikeman who practiced tax law for over 50 years. H. Heward Stikeman (1913-1999) was a two-time graduate of McGill, receiving a Bachelor of Arts in 1935 and a Bachelor of Civil Law in 1938. He would go on to become one of the university's most celebrated graduates. Among his many accomplishments, Stikeman drafted Canada's wartime tax legislation, co-founded the law firm of Stikeman Elliott and authored a series of books and annotations that are still used today.